Please use or create a new Entity Profile if you want to invest as a company. 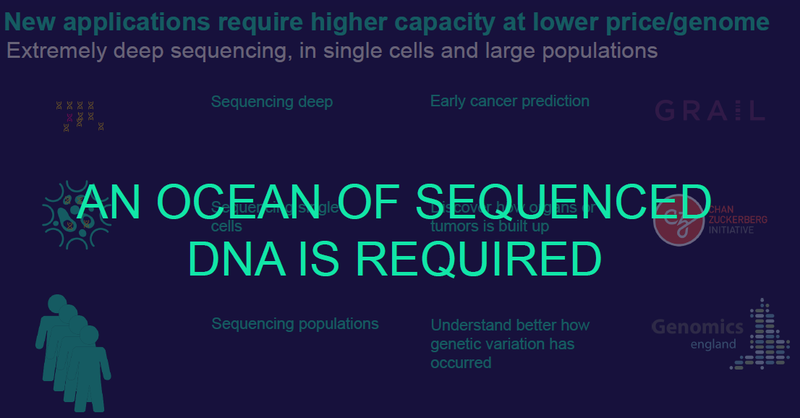 To fully realize the potential of Big Data and AI in life science, huge amounts of DNA sequenced data is needed. DNA sequenced data analysis can secure major progress in established fields such as cancer diagnostics as well as in emerging fields such as personalized medicine. Existing sequencing technologies for DNA analysis are widely applied but suffer from limitations in terms of image resolution, speed and sensitivity. Consequently, researchers cannot access the desired amount and quality of data on a fast and cost-effective basis. Single Technologies has developed a unique technology that drastically speeds up sequencing, enhances generation capacity, and brings down costs. All of this is achieved while securing high sensitivity and image resolution quality. The Company expects that their system will outperform today’s market leader and fill an important gap for other genomic players seeking to strengthen their market positions. Below follows a brief summary of the company. For full information, please download the company’s investor memorandum and other relevant documents in the Deal Room. 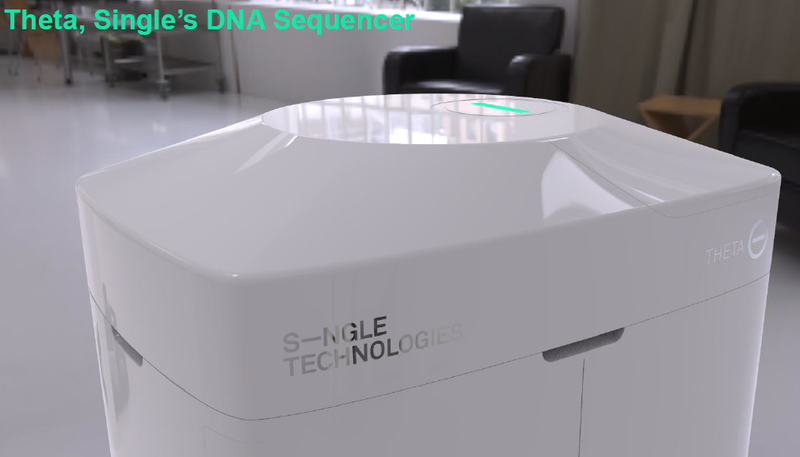 SINGLE has developed a patent-pending technology comprised of the world’s fastest scanner and unique fluidics which can be used for two major types of sequencing: directly in the tissue called in-Situ Sequencing (ISS) and extracting the DNA from cells called Next-Generation Sequencing (NGS). A beta version of the system is already in use at the Science for Life Laboratory (SciLifeLab), a world leading Swedish center for large-scale molecular biology research. 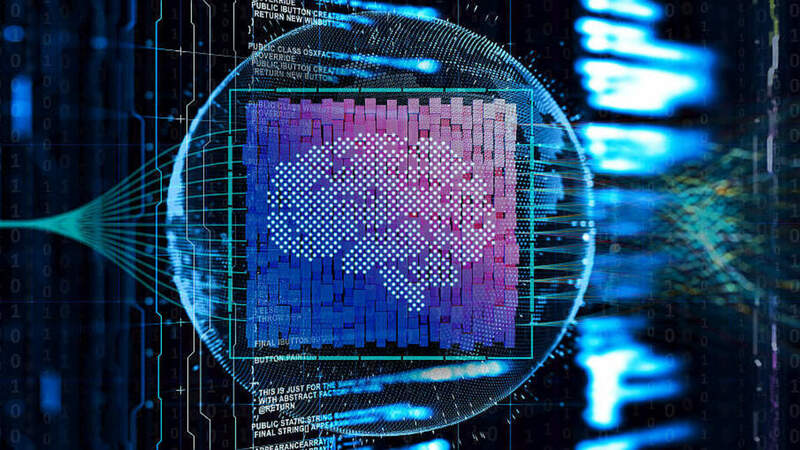 In addition, the Company has delivered experimental results to Verily (formerly Google Life Sciences) and BGI, one of the world's leader in DNA sequencing services. The scanner is in place and functioning. It is the only instrument of its type at the SciLifeLab and provides 100 times increased volume of imaging. The reaction chamber that regulates the temperature of the chemistry necessary for the sequencing process to occur is in beta. The unique cylinder that carry the DNA samples is in beta for NGS and is in production for tissue samples. During 2019, these three components will be further developed to achieve the ultimate speed of sequencing enabled by SINGLE’s technology. In the first half of 2020, SINGLE will validate the chemistries to be used in NGS applications. The ISS market (est. annual growth of 23.5% to 2022) currently has no gold-standard system and is driven by technological innovations and large global collaborations, such as the Human Cell Atlas. The NGS market (2018 est. 5.7 BUSD) has its end users in genomic research, pharmaceuticals, biotechnology and healthcare. SINGLE expects that its system will substantially outperform the current market leader. SINGLE targets a position as a technology partner to a key genomics player. The expiry of major patents in 2022 and the explosion of sequencing activity in general are expected to trigger M&A activity and new partnerships on the fast-growing NGS market. In particular, SINGLE will fill an important gap for market leading companies that have access to sequencing chemistries and sales channels but who lack satisfactory sequencing technologies. The net proceeds in the current new issue of shares will be used for further product development until 2020. SINGLE targets a trade sale by 2020 when the Company has validated its system for applications within NGS. The Company is in advanced discussions with major players who are interested in an acquisition or a partnership. The industry has a history of M&A activity such as Illumina’s acquisition of Pacific Biosciences for 1.2 BUSD and Agilent Technology’s acquisition of Lasergen (sequencing chemistry) for 185 MUSD. An alternative to a trade sale would be the establishment of sales partnerships with genomics actors, in combination with additional financing from financial or industrial investors, to enable rapid market expansion. SINGLE was founded by Dr Johan Strömqvist and Annika Bolind Bågenholm in 2012 to commercialize research from the Experimental Biomolecular Physics group at the Royal Institute of Technology (KTH). In 2013, SINGLE teamed up with Bengt Sahlgren and Dr Raoul Stubbe who founded Proximion AB (45 MSEK revenue in 2017), who have extensive experience in the fiber optical industry. Key team members also include Robert Åslund, product management and marketing (previously Elekta and Molecular Dynamics) and Steve Glavas, advisor (previously 10X Genomics and Thermo Fischer Scientific). The organization is divided into an Instrument group (10 persons) and an Application group (4), Product management (1), Financing (1), IP (1) and QA/RA (2). Financial information is available in the Deal Room. This company will only be funded if at least SEK 6,999,980 is invested. Please see the issue resolution in the deal room for all legal details.